Our Partners bring over 80 years of senior level, hands-on experience in debt financing, private equity investing, investment banking, and CFO financial management within the middle-market across diverse industry sectors. For more information about any of our Partners, simply click their name below! Mr. Bartlett has spent over thirty years serving middle market companies as a private equity investor, investment banker, strategic advisor and executive officer. Mr. Bartlett’s extensive experience includes assisting companies with designing and implementing organic and acquisition growth strategies, providing or arranging capital for companies to fund acquisitions or otherwise finance their growth initiatives; advising owners and boards of directors on valuation, market conditions and strategic options associated with selling or recapitalizing their businesses; assisting companies and their management teams with the acquisition and integration of other enterprises; and taking leadership roles on deal teams and management teams to effectively and decisively effect change on behalf of business owners and other stakeholders. Having served as a transaction financier, advisor and corporate executive, Mr. Bartlett has 360 degree experience with planning for and executing transformational strategies. 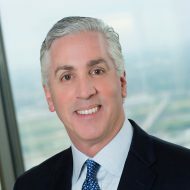 Prior to the formation of Adjunct Partners, Mr. Bartlett served as a Managing Director and partner in Compass Equity Partners and concurrently served as Chief Financial Officer and then President & CFO of an affiliated company, CIS Group of Companies, LLC, which provided underwriting inspections, claims adjusting and other services to the property and casualty insurance industry. 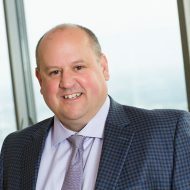 Prior to joining Compass Equity Partners, Mr. Bartlett served as President of ConnectPoint Resolutions Systems, a Dallas-based provider of technology solutions to the property and casualty insurance industry. Mr. Bartlett joined ConnectPoint upon the company’s formation in 2008 to oversee the startup and launch of the business. 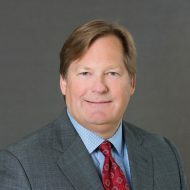 Prior to ConnectPoint, Mr. Bartlett provided investment banking services to middle market clients as a Managing Director of GulfStar Group and as Managing Director in the Mergers & Acquisitions Group of Banc One Capital Markets. Previously, Mr. Bartlett was a Director of TransAtlantic Capital Partners where he managed the development of transportation projects in emerging markets in alliance with European transportation partners; a Director of KPMG Corporate Finance, where he was principally responsible for M&A, private placements and cross-border advisory services for middle market and large corporate clients; and a senior investment officer with a private equity group and a merchant bank prior to KPMG. Mr. Bartlett received a Bachelor of Business Administration (Finance and Management) degree from Baylor University in 1983. Mr. Creech has over 18 years of financial and operations executive management with a proven track record in domestic and global business development, strategic planning development and implementation, building scalable and sustainable business infrastructures, Six Sigma, mergers & acquisitions (management of due diligence, modeling, synergies and integration), IPO’s and executive leadership. As a Partner with Adjunct Partners, Mr. Creech is working with small to mid-cap companies in the Fractional CFO / Advisory role. In this role, Mr. Creech is utilizing his diverse hands – on experience in the manufacturing, software and service industries to assist companies with developing strategic planning tools (formal strategic plans, business plans, budget / forecasting, implementation management, balance scorecards), sustainable and scalable business process (ERP systems (determination and implementation support), management reporting, process controls and training), business process design (business controls, accounting procedures, financial controls, training) and data – driven cultures (create information from data, key performance metrics, financial trackers, etc). Previously, Mr. Creech was Corporate Controller with Archipelago Learning, a start-up software-as-a-services company in the educational industry. Mr. Creech was responsible for developing the company’s financial infrastructure (systems, management reporting and process) and leading the company through their initial public offering process. The company successfully filed in 2010. Additionally, Mr. Creech was Business Unit CFO at Aleris International, a fortune 500 manufacturing company. During his tenure as Business Unit CFO, Mr. Creech led this global business through tremendous revenue and profitability growth via acquisitions, strategic planning and implementation of a data driven, continuous improvement culture. BA in accounting, University of Texas – Arlington.